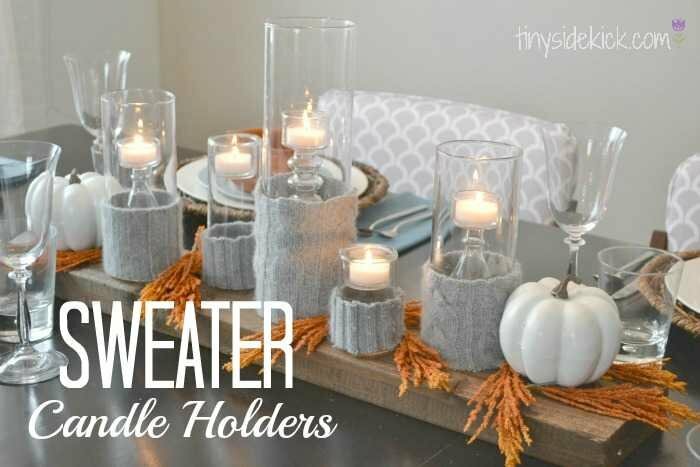 A few weeks ago I shared my Sweater Candle Holders that I used for my Fall Tablescape. 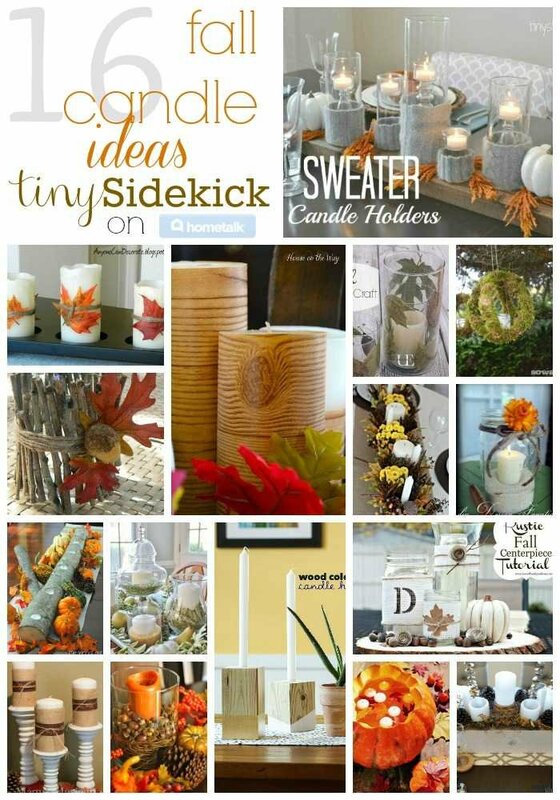 Then, the other day Hometalk asked me to collect Fall Candle Ideas for all of you and clip them to my clipboard. I was thrilled! Hometalk is one of my favorite places to get project inspiration. Below are my 2 faves from the collection, but be sure to head over to the clip board and check out all of the fall candle ideas. Have you seen candles like these in fancy stores? Well, Leslie from House on The Way shows you how to make these fabulous birch candles for way cheap! I can’t believe how easy she makes this look. 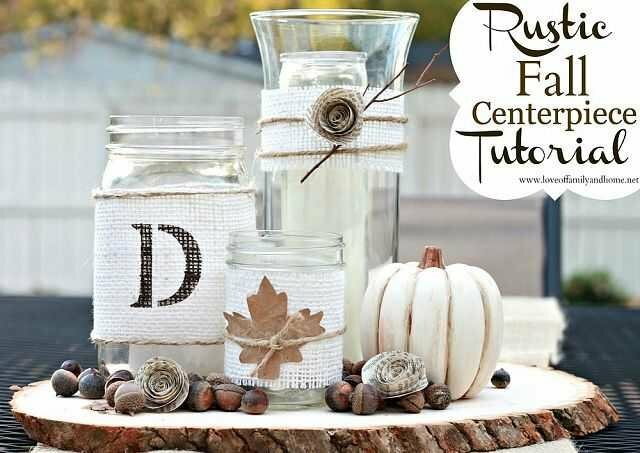 This project would be great for fall candles or any time of year really! Another one of my faves is this Rustic centerpiece from Tonya at Love of Family and Home. She shows us how to make this beautiful centerpiece with the natural elements she uses in such a modern way. I know we are talking about candles here, but how cute are those paper flowers? There are many more candle ideas over on my clipboard on Hometalk so click on over there and get the details on all of them and be sure to stop by next Tuesday to see some Halloween Front Door Decorations from myself and 3 other wonderful bloggers or submit your email address below and have posts delivered to your inbox so you don’t miss it! Love the rustic fall centerpiece. Thanks for sharing! Thanks so much for sharing my Rustic/Chic Fall Centerpiece! I really appreciate it! So many wonderful projects in this line-up! Sharing now! Thanks so much for including my Faux Birch Candles! Your clipboard is awesome! Have a great week. You are very welcome Leslie! Glad to finally get a chance to return the favor!